At the top of our "to-do" list in the Puerto Escondido/Loreto area was taking a day-trip to San Javier, as several cruising friends and guide books had recommended that the drive to San Javier was "not to be missed". 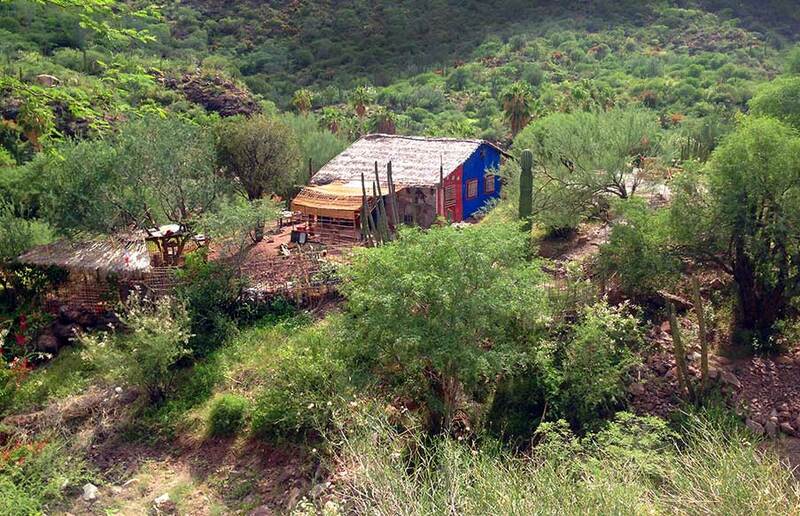 The tiny mountain town of San Javier (population about 130 inhabitants) in the Sierra Gigantes, 50-miles west of Loreto, is home to the second oldest Mission in the Califorinias. Founded in 1699 by the legendary Francisco Maria PIccolo, it is considered the pride of Baja for its altar piece and stone sculptures, and has been used continuously since it was built. 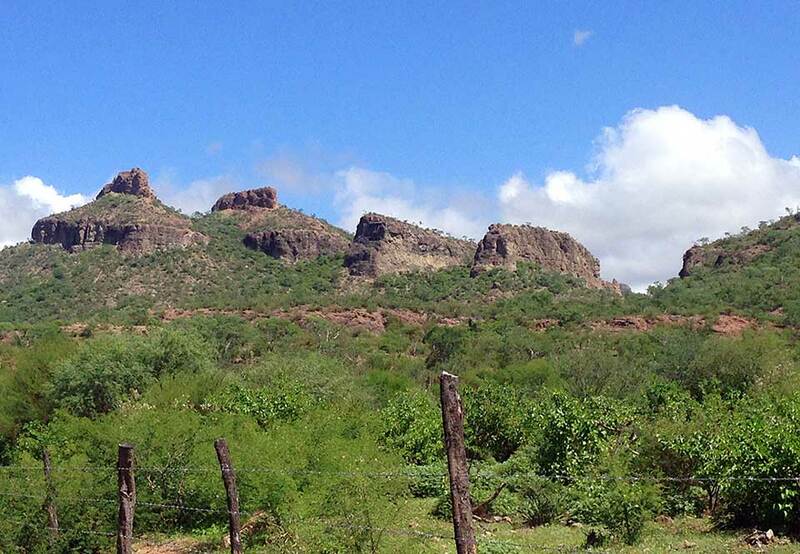 Today it is one of the main sanctuaries in Baja California. 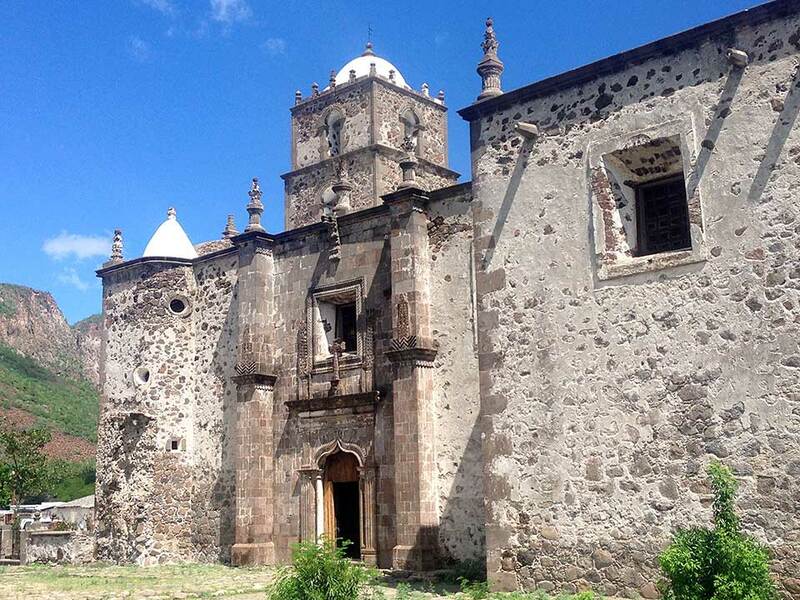 For you history buffs out there, the first mission in the Californias was built in Loreto in 1697, (see our Loreto blog post.) Loreto was also the capital of Baja California until the whole town was wiped out by a hurricane in 1829, and the capital was relocated to La Paz. We'd been in Puerto Escondido for a month already and hadn't managed to get to San Javier yet...apparently we were a bit busy doing other things...like fighting with a guy called Newton, and auditioning for the Blue Man Group?! Once Due West was back in the water and while we still had the rental car we decided to take a day of much needed R&R and hit the road to San Javier. But first a quick drive up to the trailhead of Steinbeck Canyon, just outside the marina in Puerto Escondido. 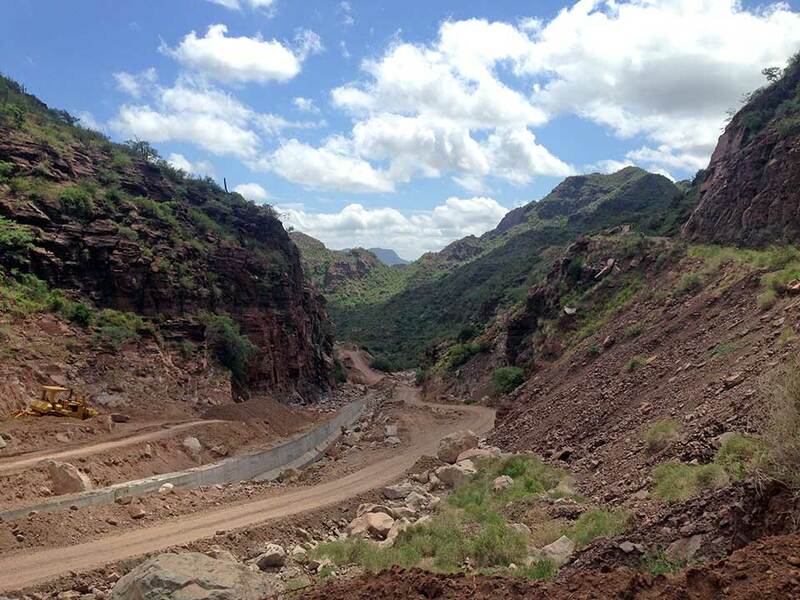 No time for a hike today, so we settled for a quick view from the trailhead before we hit the road to San Javier. Looking up Steinbeck Canyon, we did a double-take, were we in the rain-forests of the Amazon or Baja Mexico?! The trail leads up to waterfalls and swimming pools, beautiful hike we're sure, but right now with all the water here there are likely a lot of mosquitoes up there and Heidi is done being bitten for a while! 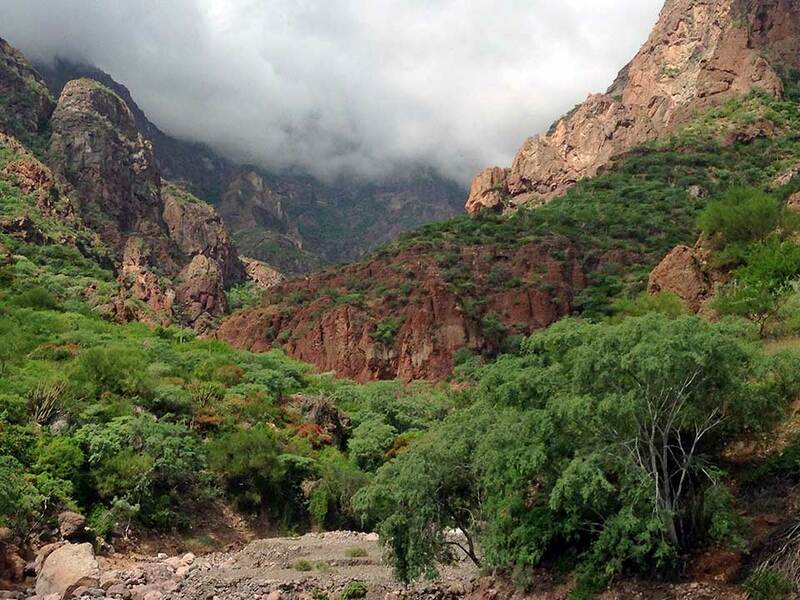 John Steinbeck spent a lot of time in the Sea of Cortez, as detailed in his book "The Log of the Sea of Cortez", which is how this canyon came to be named Steinbeck Canyon. 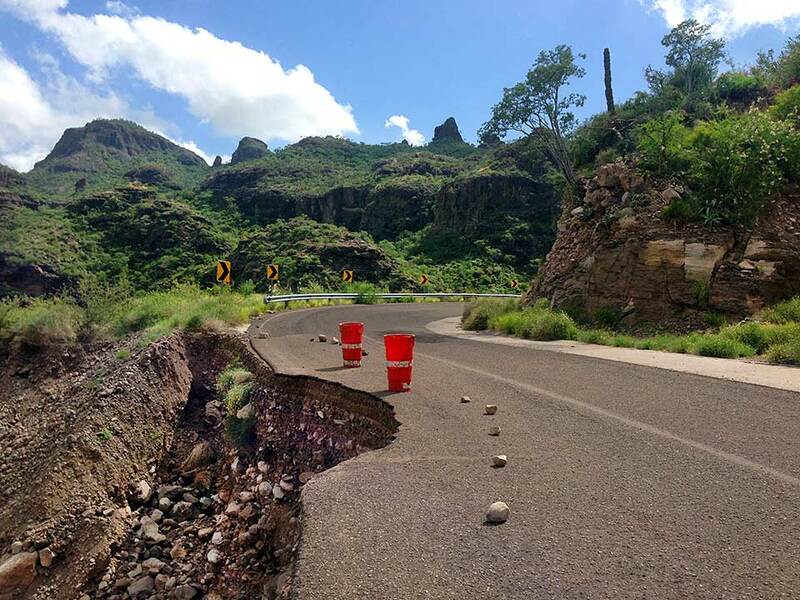 The turnoff from Loreto to San Javier is well marked and the highway is newly paved, our trip was off to a good start...However, shortly down the road and around a few bends, suddenly the pavement became gravel and then dirt, and narrowed from two-lanes to one...washout! We love road trips and driving back roads of Mexico while not relaxing for some was just the type of break from boat work we needed. And oh what a road it was! For starters, the Baja 400 (souped-up dune-buggy off-road vehicle race) was starting the very next day, and many of them were practicing on this narrow, windy 2-lane mountain road. And in fact the three places where we came head-to-head with one of these vehicles randomly happened to be on hairpin turns, not in the straightaways. Go figure! Seconds after taking this photo a Baja 400 buggy zoomed around the corner towards us and we passed in the ford, water flying! We crossed about ten fords in the road, all still running with water from post hurricane rains. Most were only a few inches deep, but one actually had fish running across the road and three Mexicans fishing on the banks of the road!? On one stretch of one-lane road (no flaggers, driver beware) where the road had long since washed out, they were building retaining walls for the new road, but it looked like that project had been ongoing for years. Heidi's step-dad Pete, a highway engineer would have LOVED this road! It alternated between paved with stream-fords, dirt, and washouts. Though the roads were a bit crazy, the scenery was breathtaking. Lush and green from all the rain, the mountainsides seemed more like driving through rain forests in the Amazon than the Baja desert, the wildflowers were out in full bloom: hot pink coral bush, lavender-colored morning glories, yellow oleanders, and some bottle-brush type plant with white and pink "brushes". 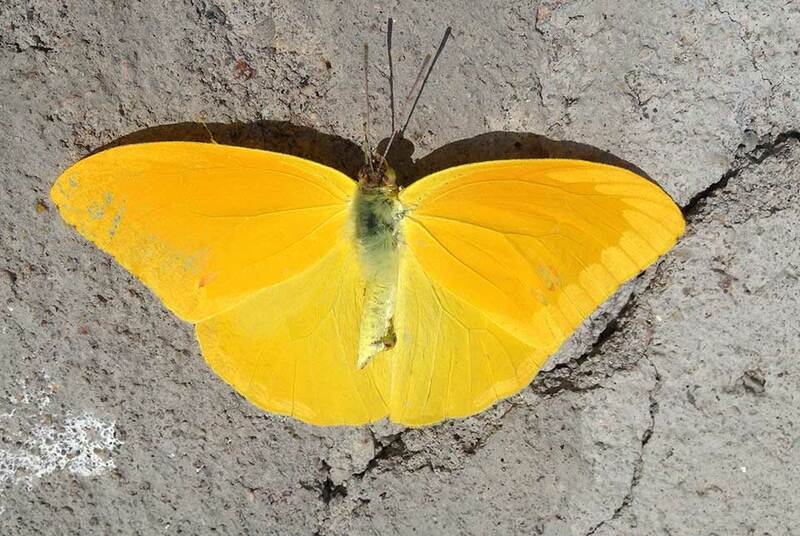 There were also little yellow butterflies (about 2")... flying everywhere! By the millions if not billions, migrating south in a blizzard of yellow. We heard a legend that the indigenous Mexicans say "when the yellow butterflies migrate south it signals that Hurricane Season is over." We HOPE that is true, but we're not holding our breath, and continue to check the tropical WX charts daily. 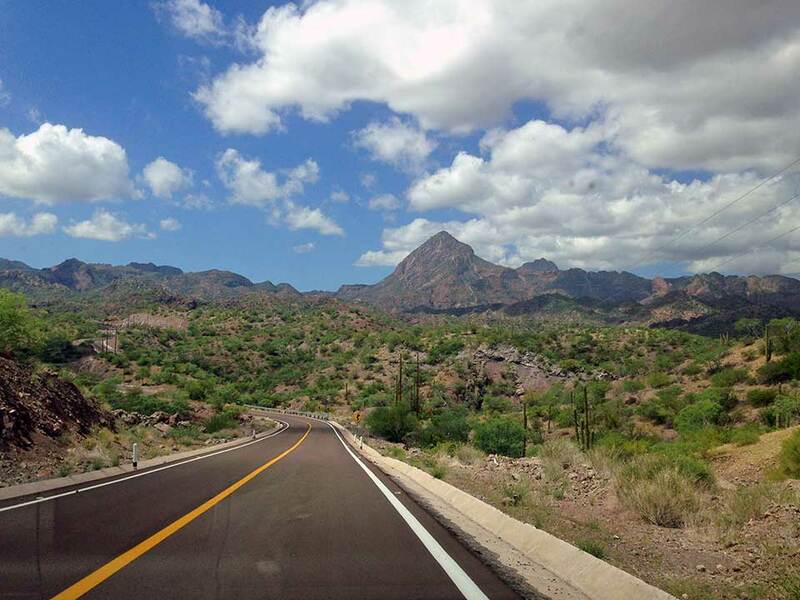 The 50-mile drive from Loreto to San Javier took us about 90-minutes. Partly because we were stopping to photograph everything, and partly because we had to go S-L-O-W in the hairpins, washouts, fords, and one-lane sections. 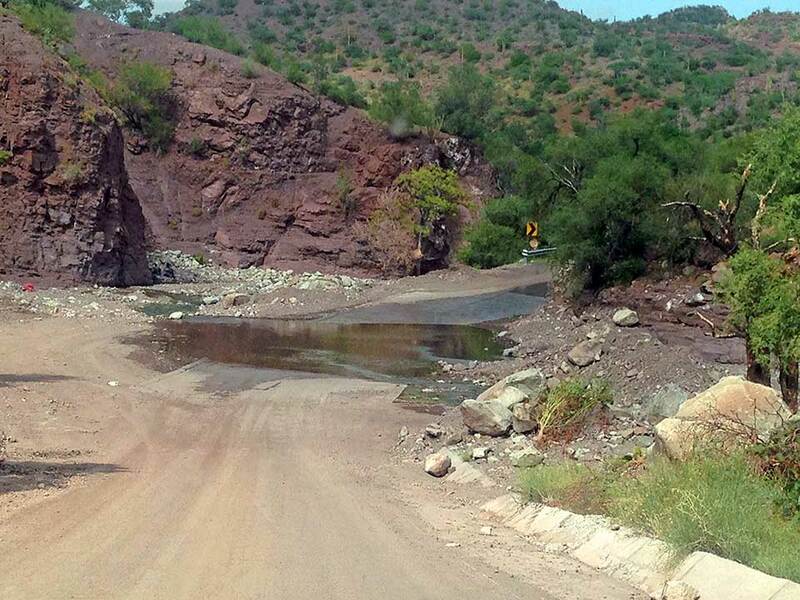 Normally well prepared navigators, we'd left our Baja road map back on the boat, but knew this was the only road to San Javier so we couldn't miss it. Sprinkled here and there were cute little houses or ranchitos (little ranches) tucked into valleys along the way. This one was so beautifully painted we had to stop for a photo. We passed lots of palm fringed oases along the way as well as road-side shrines, tiny ranchitos, horses, burros, mules, cows, and goats in the road...and suddenly around a bend and we could see the dome of Mission San Javier surrounded by palms, in a narrow river valley. 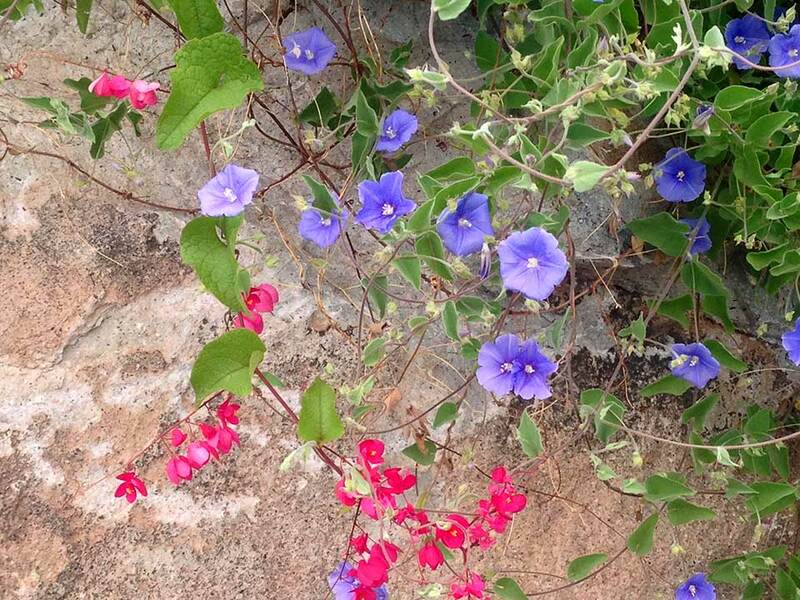 The tiny town of San Javier (pop. 130) itself is literally made of two streets each about three blocks long with the Mission at the end. Amazingly on December 2nd around 12,000 people from all over Mexico, many on horseback, descend on San Javier each year on a pilgrimage and as part of a music festival. We can't even imagine where they would begin to put that many people in this tiny town. It must be quite a site. Other than the three Baja 400 cars that passed us on their way down, we didn't see another car on the drive there. And when we arrived we were the only car and people walking around the Mission. Ironically within about 5 minutes of our arrival the place was packed with people, Mexican Baja 400 racers coming to pray the day before the race, and tourists like us coming to look and take photos. Guess we started a trend. 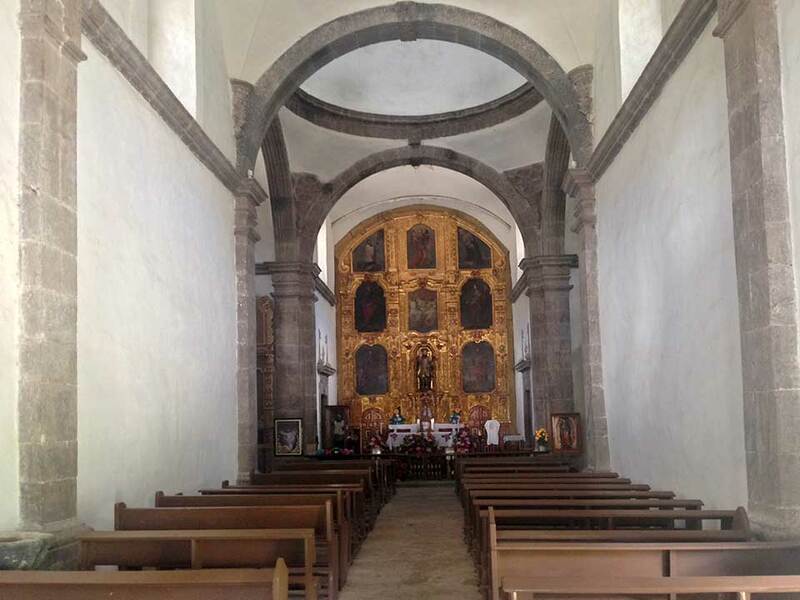 The Mission was named after St. Xavier who apparently was known for his missionary work through Asia and India, and interestingly there appear to be some Asian influences in the architecture and archways above the doors. When it was built this mission was entirely self-sustaining on the agriculture they could grow around it, and much of it still exists today. San Javier also has the distinction of being the first place to grow grapes and make wine in all the Californias! The vineyards are still there, intertwined around lime and banana trees, and there are still many old, gnarled olive trees in the orchard as well. A beautiful day for a gorgeous road-trip to a cute little down with a historic Mission was just the respite we needed! A week later, the butterflies are still migrating south, tried to capture the multitudes on video but they just look like confetti flying by. 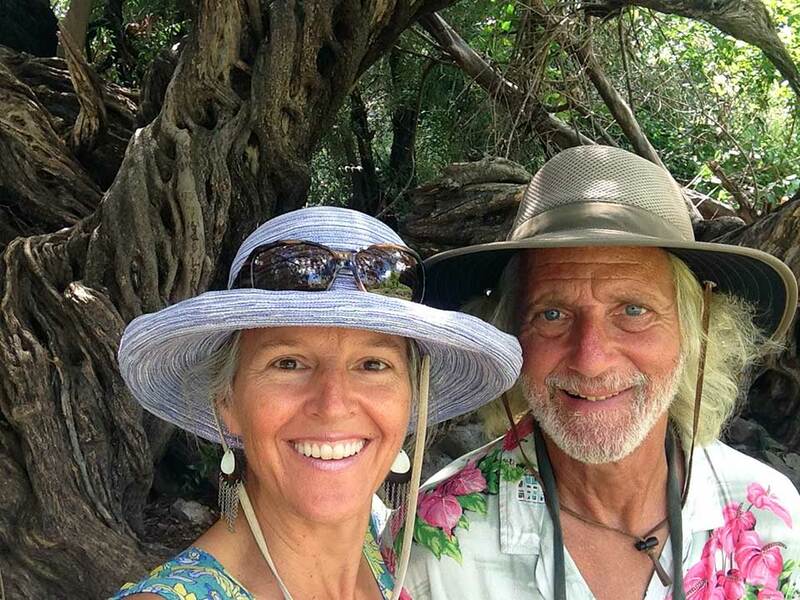 We've said goodbye to Puerto Escondido, George, Ruth, and Maggie (we miss you guys! ), and other fellow cruisers and are headed north with friends Boni & John on s/v Ingenium again. 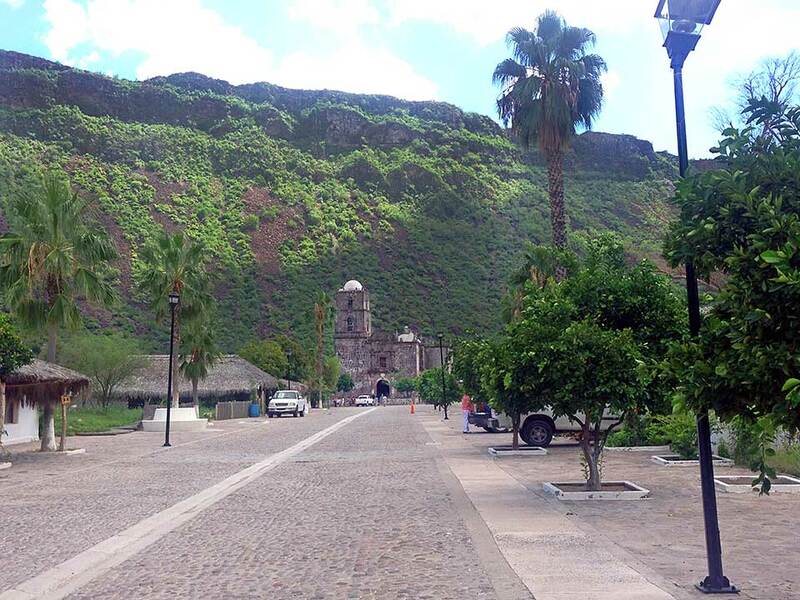 Currently in Loreto, we're headed towards Bahia Concepción with a stop in San Juanico. We're excited to anchor at beautiful Playa Santispac next week, where we camped on the beach with Heidi's family at Thanksgiving three years ago (Andy, we wish you were going to be there!) Internet will be spotty for the next few weeks until we cross the Sea and head to San Carlos by late October, so we'll post again when we can. Tosh & Tikka send kitty kisses! Don't miss more photos in our photo gallery.